Everyone knows that from time to time technology can and will get disrupted. That’s why good Disaster Recovery (DR) planning and the ability to restore quickly and accurately is so important. If IT systems play an integral role in running your business – as it does with most – prolonged system downtime is simply not an option! Outages can be caused by natural or man-made disasters, technology failure, or human error. For most disruptive events, a properly designed and maintained backup process will help you restore back to a point where little or no negative impact will be felt. However, if something takes place that disables or corrupts the hardware, operating systems (OSs), or applications – that’s when the ability to build systems from the ground up becomes critical. A BMR is basically a complete rebuild on new physical or virtual machines of the OS, applications and depending where it resides, the data itself. Back in 2008, Cartika Inc. was looking for a backup system that was more flexible, and cost-effective than alternatives available on the market at that time. The decision was made to build their own Open Source based solution, and Clusterlogics was born. For years now, Clusterlogics has been supporting complex, precision backup and restore requirements for partners and enterprise clients. We are excited to announce the latest major expansion of our BMR capabilities for Linux and other Unix-based systems. 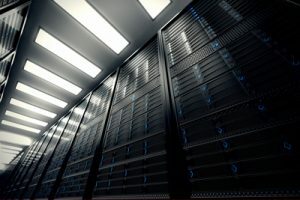 The Clusterlogics suite of backup and restore products has been designed for both larger clients with in-house IT shops and Managed Services Providers (MSPs). For MSPs, we offer a robust, reliable and flexible alternative to many expensive and inflexible solutions on the market today. With our easily integrated Software, MSPs can now offer peace of mind for their clients running mission-critical business applications.